So I’ve had the privilege of potty training 4 kids so far in my career of mothering. I’ve had some very easy kids to potty train and some that were extremely hard. In my experience gender has absolutely nothing to do with how easy or hard it will be to potty train and everything to do with the temperament of the child. My first-born who is now almost 16 was my easiest. She’s also my most calm, laid back and timid child out of the brood. My most difficult by far was my youngest daughter who is now a bit over 3 years old. She has the temperament of a wild rhinoceros. She is aggressive and extremely strong-willed. Seriously, nobody will ever want to get on her bad side because she’ll mess you up! I made a lot of mistakes my first time around and I’d like to share with you what I did and why it didn’t work. First, I tried to force my daughter to go pee by making her sit on the potty for the longest of times. Second, when she wouldn’t go I’d get angry with her and yell at her. I was very negative and made using the potty a very unpleasant experience for her. I allowed my frustration with her not “getting it” fast enough control my emotions and thus destroying any chance I had at success. Because of what I had done, I had to take a break and trying again 6 months later. The second time was a charm because I learned my lesson. Positivity is the key. Jump forward 14 years and here I was potty training another little girl. This time my baby girl was the rhinoceros I was speaking of. Talk about a different experience. She fought me from day one. She refused to use the potty no matter what I bribed her with or how long I had her sit on the potty. So finally after a good month of no progress I decided to buy a book (which I have linked below). I didn’t follow it exactly but I got a lot of great advice from it. Firstly, I chose to no longer use a plastic toddler potty and just stick to using the actual toilet. Then I decided to get crafty and make my daughter a big potty training chart that she could stick a sticker on every single time she used the potty. The book suggested that you give you child some kind of treat, like a small candy such as a skittle. This did not work for my daughter because she simply just doesn’t care unless it’s a whole bag of skittles and lets be honest, that’s not good for your kid or your wallet. 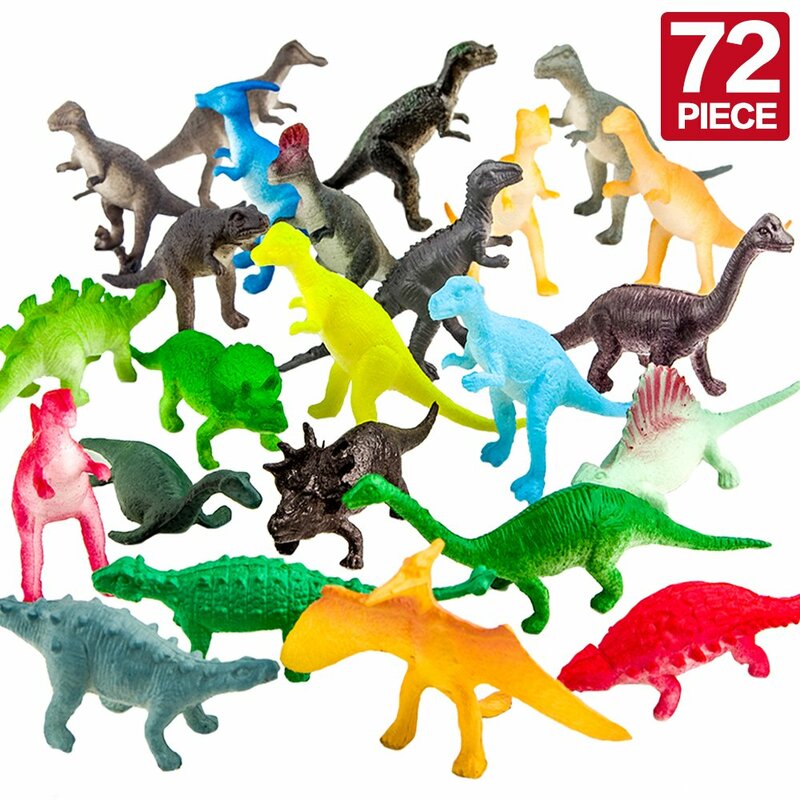 So my husband was brainstorming and came up with the amazing idea to get a 75 count of tiny plastic dinosaurs from Amazon (linked below). She loves dinosaurs more than anything. She wanted those tiny dinos and those stickers so bad and that was what finally got her excited. We then followed the books suggestion to try to stay home and keep her in underwear or naked for the better part of the three days. In the end, She was rocking this potty training. At least the peeing part. Pooping was a whole other monster to tackle. that took a little more time. Some kids are afraid to poop in the potty and some aren’t. Mine was. I had to squat down by the toilet and hold her in my arms to make her feel safe and tell her it was gonna be ok. Soon I was able to make her feel comfortable enough to poop in the potty. She realized that it was ok after a few times and we were golden. So for all those moms out there who are struggling with this potty training stuff and feel like you have tried it all and read it all, sometimes you just have to realize no child is exactly the same and maybe the books have great ideas but they just need to be tweaked to your childs specific personality.